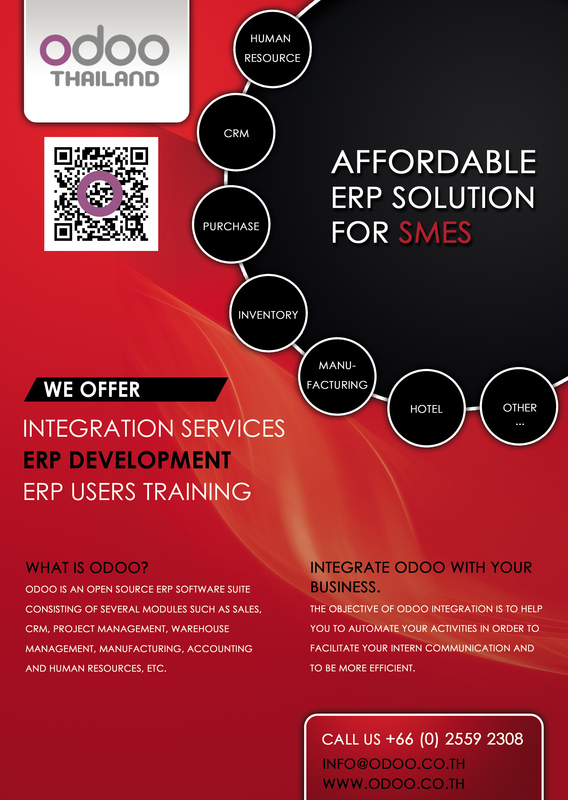 Integrate Odoo with your business. The advantages to this integration are multiples: Optimization of your management process, standardization and centralization of the information, improvement of the organization, good management of the cost…Moreover, you take advantage from Open software what means you don't meet the license cost. At Frontware we take time to define the best integration for each company. Our priority is to support you from the beginning to the end by evaluating your needs and customizing your Odoo application. In order to understand your needs and to deliver you the best solution, we follow a very specific methodology that will give you the best chance to get a great ERP integration. The methodology we follow is based on Odoo recommended methodology, it's used by almost every Odoo partners.